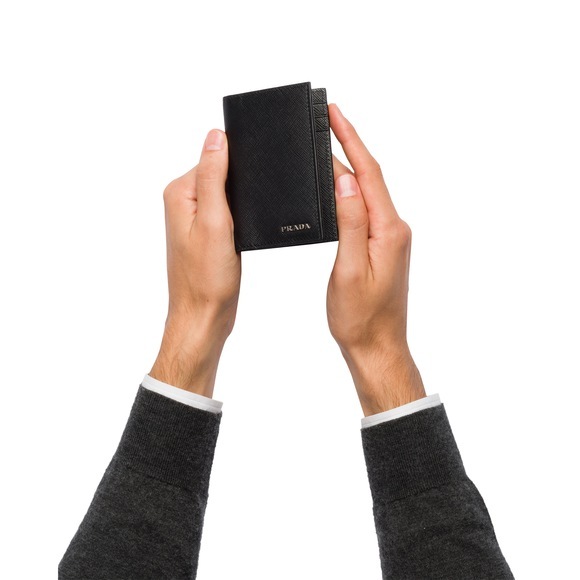 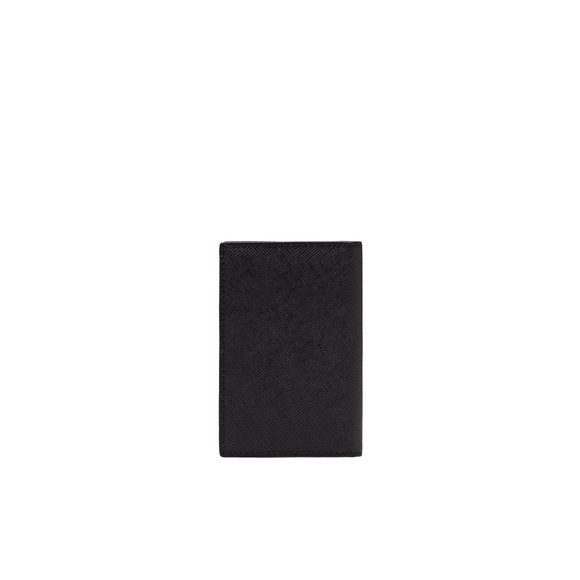 This compact card holder has a practical slim design. 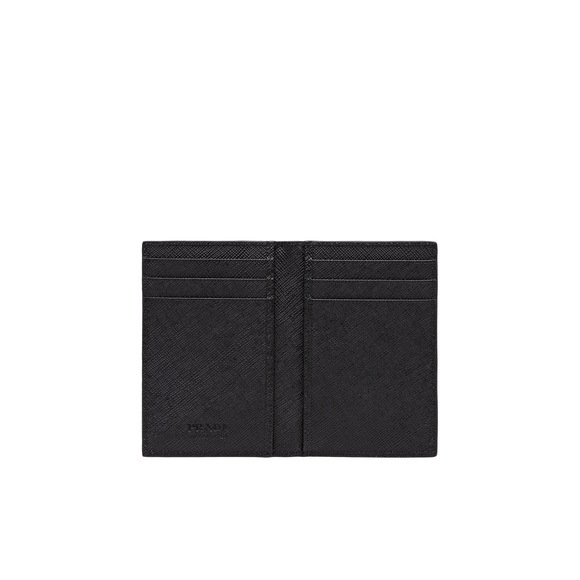 Crafted from durable Saffiano leather, it opens to reveal six card slots and two pockets. The item is fully lined and adorned with metal Prada logo lettering.